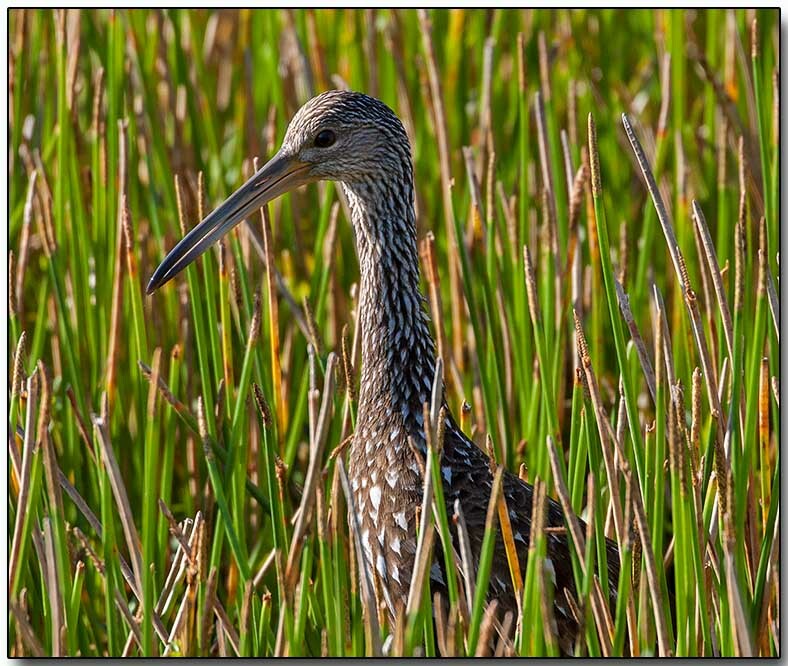 The limpkin, also called carrao, courlan, and crying bird, is a bird that looks like a large rail but is skeletally closer to cranes. It is found mostly in wetlands in warm parts of the Americas, from Florida to northern Argentina. It feeds on molluscs, with the diet dominated by apple snails of the genus Pomacea. Its name derives from its seeming limp when it walks.